Originally from Scoudouc, New Brunswick, I have been living in Nova Scotia since 1985. I have been drawing and painting ever since I can remember and always felt I was meant to be an artist however did not pursue serious art studies until the late 80’s when I began continuing education classes at the NS College of Art and Design. Other education: B.Sc. in biology, B.Ed. M.Ed. Detailed biography published in BID Music eMagazine, issue 8, 2016. J'ai grandi dans le village de Scoudouc, Nouveau-Brunswick et déménagé en Nouvelle-Écosse en 1985. J'ai toujours dessiné et peint depuis que je me souviens toutefois je n'ai pas poursuivi d'études sérieuses d'art jusqu'à la fin des années 80 où j'ai commencé des cours de formation continue à l'École NS College of Art and Design. J'expose mes peintures depuis 2008. Éducation formelle : B.Sc. (biologie), B.Ed. M.Ed. Biographie détaillée publiée dans le reportage BID Music eMagazine, no 8, 2016. 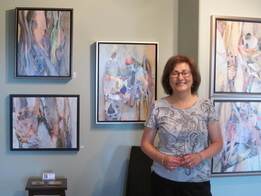 -Visual Voice Fine Art, 128 King St, Truro, NS, http://www.visual-voice.ca/fineart/, (abstracts and landscapes). -Going Coastal Art Gallery, 41 Queen St, Chester, NS, https://www.facebook.com/GoingCoastalFineArtandFurnishings, (landscapes and abstracts). -Teichert Gallery, 1723 Hollis St, Halifax, NS, artgalleryofnovascotia.ca/shop-rent/teichert-gallery, (abstracts and landscapes). 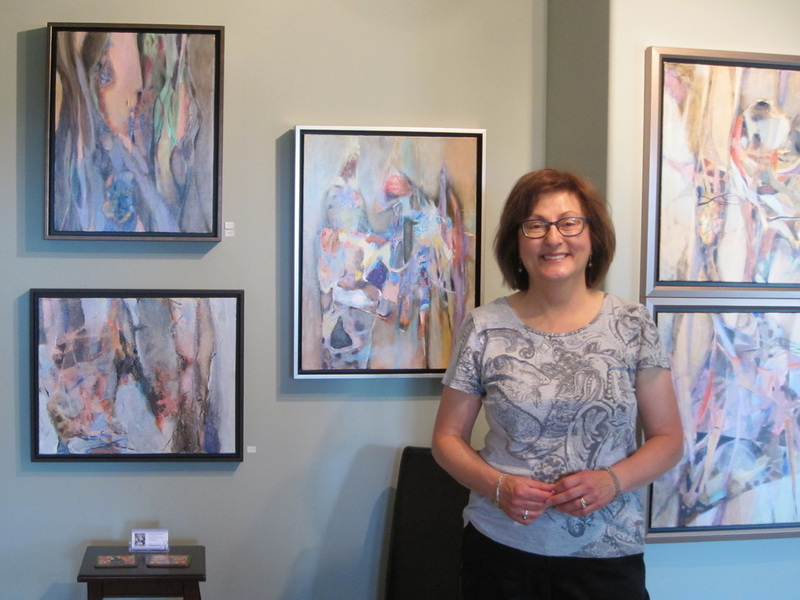 -Argyle Fine Art, 1559 Barrington St, Halifax, NS, http://argylefineart.blogspot.ca/, (abstracts). -By the Bay Bed and Breakfast, Glen Margaret, NS, http://www.bythebaybandb.ca/, (landscapes - early works). -​McClure Gallery, Montreal, QC, group show, April 2018. 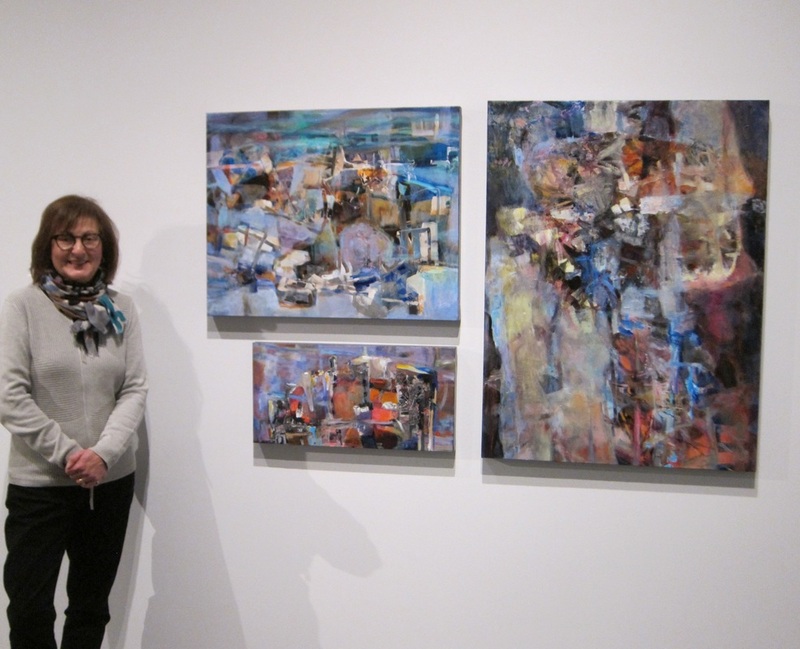 -Chase Gallery, NS Archives, Halifax, NS, Abstract Studio Group Show, Nov 2017. -Lunenburg Art Gallery, featured artist, Different Perspectives of the South Shore, Aug 2017. -﻿Crouchers Pt Gallery, Peggy's Cove Road, 2014, 2015, 2016, 2017. -Gallery Nineteen Nineteen, Halifax Art Map group show, 2017. -Accès Justice Access, NS, Halifax, solo show 2016. -The Royal Bank of Canada, Upper Tantallon, solo show 2016. 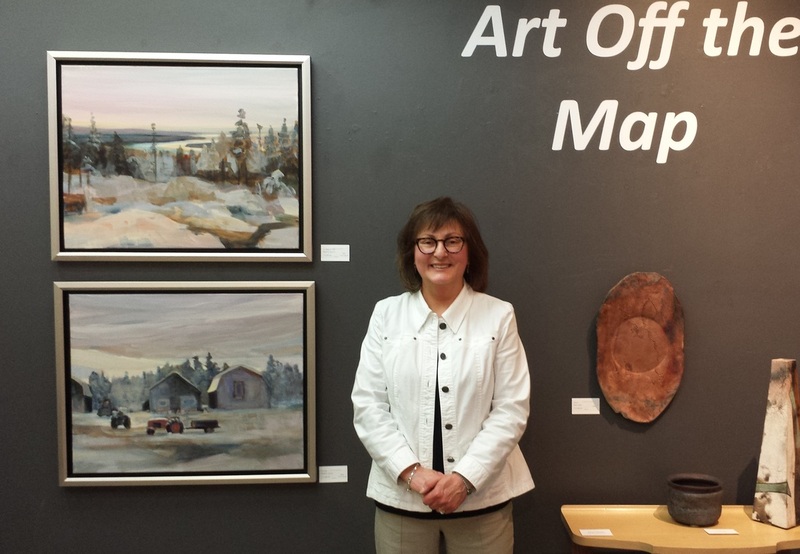 -Teichert Gallery, Halifax Art Map juried group show, June 2015. -Teichert Gallery, Halifax, juried Annual Member show, 2015, 2016, 2018. -Chester Art Centre, Still Life - Be Still My Art, group exhibition, 2017. -Halifax Central Library, Halifax, Crossroads: An Intersection in Time - Group Show, 2018. ​-Craig Gallery, Dartmouth, Permafrost juried group show, 2015. -Craig Gallery, Dartmouth, group show, 2015, 2016. -Art Zone, Halifax, Intangible Thoughts Group Show, 2015. -Art Zone, Halifax, Urban Construct Group Show, 2015. -Art Zone, Halifax, Searching for Peace and Serenity, solo show, November 2015. 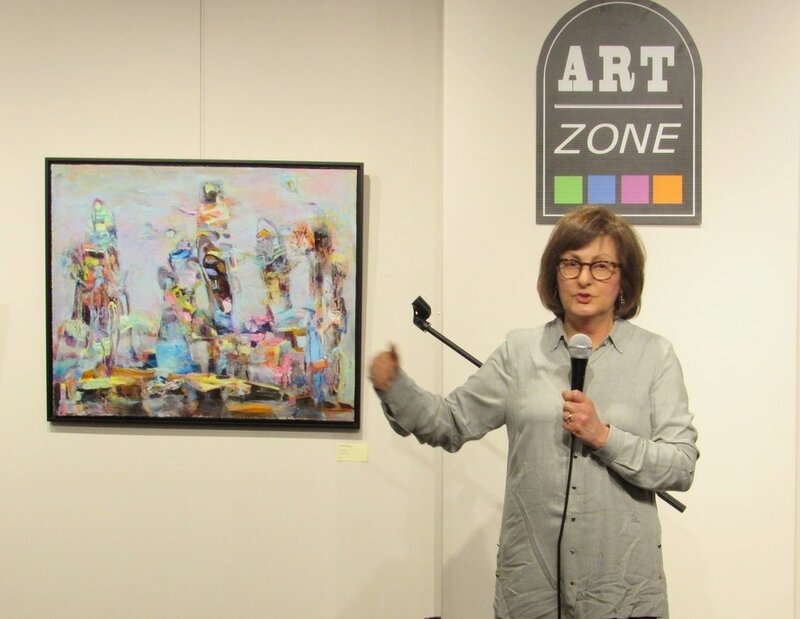 ​-Art Zone Halifax, Annual Members' Show, 2016, 2017, 2018. -Dalhousie University Art Gallery, Halifax, student, staff, alumni group show, 2014, 2015, 2016, 2017, 2018. -Afterglow, solo show, Bridgewater, 2014, 2016. -The Trellis Café, Hubbards, feature artist: 2009, 2010, 2011, 2012. -The Trellis Café, Hubbards, solo show, 2013, 2014, 2015, 2016, 2017, 2018. -Fireside Restaurant, Halifax, feature artist: 2014, 2015, 2016, 2017, 2018. -Seventy3, Canadian Fusion Restaurant, Dartmouth, feature artist: 2015. -Aspotogan Arts and Crafts, group show, Blandford: 2008, 2009, 2010, 2011, 2012, 2013, 2014, 2015, 2016. 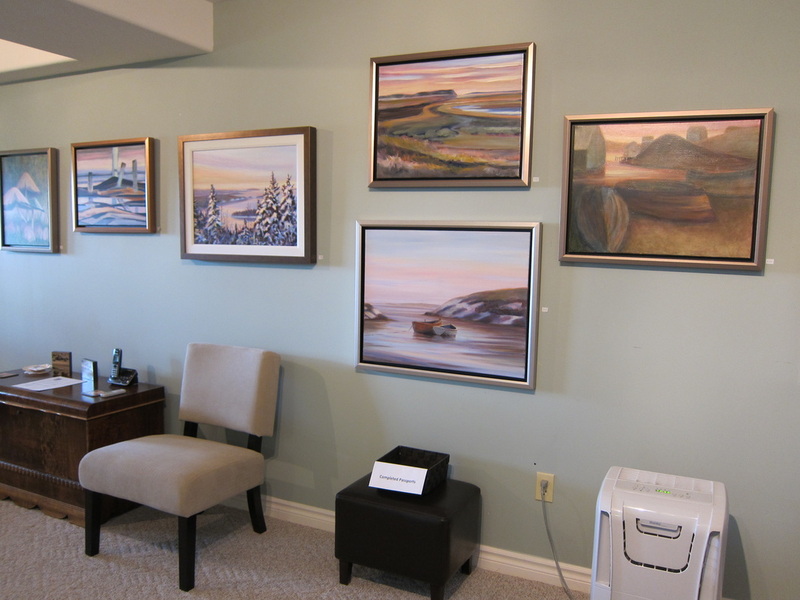 -Crossroads Artists, group show, Upper Tantallon: 2012, 2013, 2014, 2015, 2016. -Argyle Fine Art, Halifax, Pre-Shrunk juried group show: 2013, 2014, 2015, 2016, 2017, 2018, 2019. -Tantallon Regional Library, solo show: 2013, 2014. 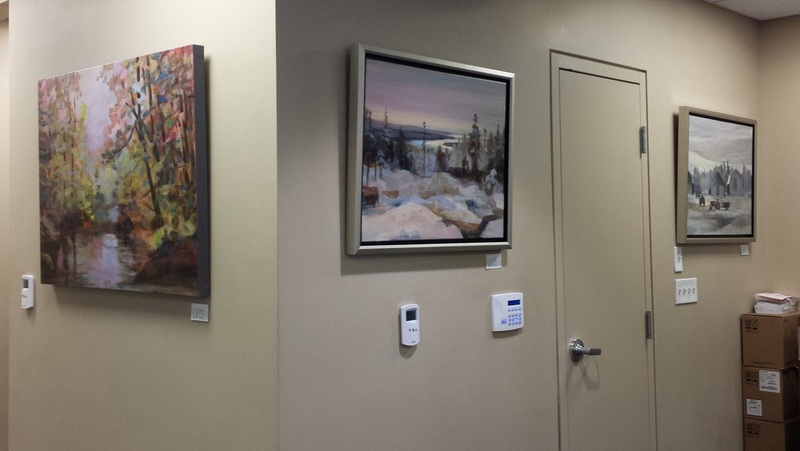 -Tantallon Dental Centre, solo exhibition: 2014, 2015. -Swoon Fine Art, Winterscene, juried group show, 2013. -Swoon Fine Art, Feast for the Eyes, juried group show for Dine By Design East, 2015. ​-Montague Plein Air Festival, PEI, 2014, 2016 (honourable mention award 2016). ​-Paint the Town, Annapolis Royal, 2016, 2017, 2018. ​-Lunenburg Art Gallery, A Brush of Autumn Colour, plein air event, 2016. ​-Paint Peggy's Cove, 2011, 2012, 2013, 2014, 2015, 2016, 2018. -Peggy’s Cove Area Festival of the Arts, Studio Tour, 2011, 2012, 2013, 2014, 2015, 2016, 2017, 2018. -Studio Rally 2014, 2015, 2016. -Halifax Art map 2015, 2016, 2017, 2018. -Past President, Aspotogan Arts and Crafts since 2011, 2012, 2013, 2014. 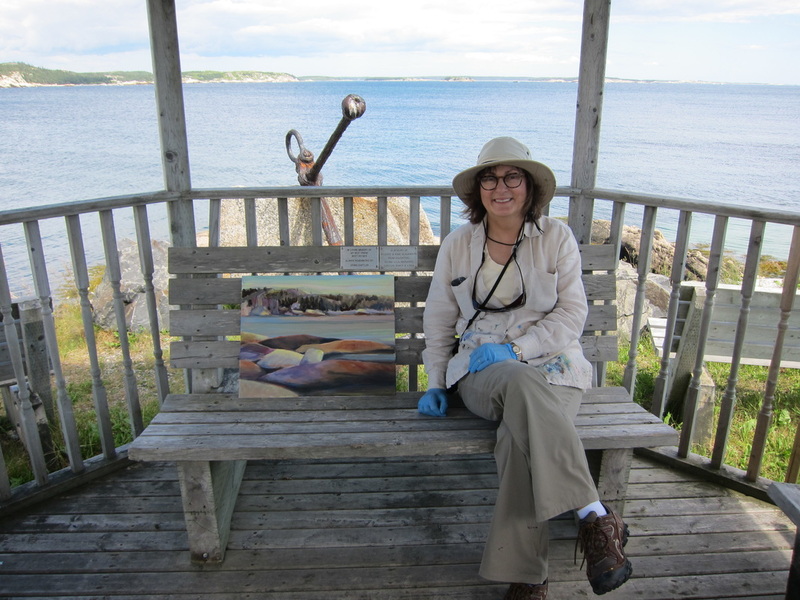 -Past Board Member, Peggy’s Cove Area Festival of the Arts 2012. -Co-Chair, PCAFA Studio Tour committee 2013, 2014, 2015, 2016. ​-Member, CARFAC (Canadian Artists’ Representation/Le Front des artistes canadiens). -Member, Visual Arts Nova Scotia http://www.visualarts.ns.ca/. -Member, La Fédération culturelle acadienne de la Nouvelle-Écosse http://fecane.ca/. 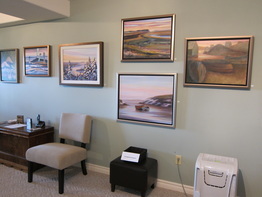 -Member, Peggy's Cove Area Festival of the Arts http://peggyscoveareafestivalofthearts.com/. -Founding Member, Abstract Studio Art Group, 2014 - 2019. -Board Member, Help2Overcome, https://www.help2overcome.org/, 2017, 2018, 2019. To inquire about the art on this website please contact me or any galleries listed / pour plus de renseignements veuillez communiquer avec moi ou avec la galerie. May, 2018 at Art Zone Gallery. Click on the image to hear a short explanation of why art is important to me.